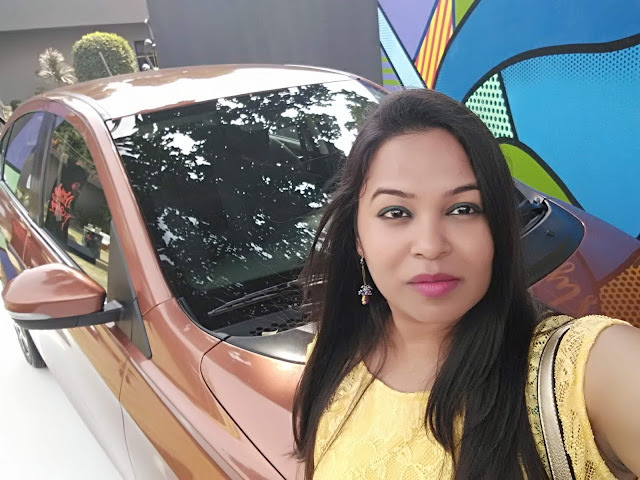 I swear when I was invited for Tata Tigor Style Back Experience, for the first time in my writing and blogging journey I felt that I am on the right track. I was super excited to be part of two day styleback experience organized by Tata Tigor. Tata a brand that has legacy to it is becoming trendy and stylish with the launch of modern look and stylish cars one after another. First it was Sedan, than Hexa and now Tigor. The event was planned for the weekend so it made very comfortable for me. After a hectic week in office I got an option to relax and entertain myself on a different level. What happened next was beyond my imagination. I am not exaggerating here, for the first time in my life I felt that I have lived like a celebrity. My two day Tata Tigor StyleBack journey started by pickup from my house. 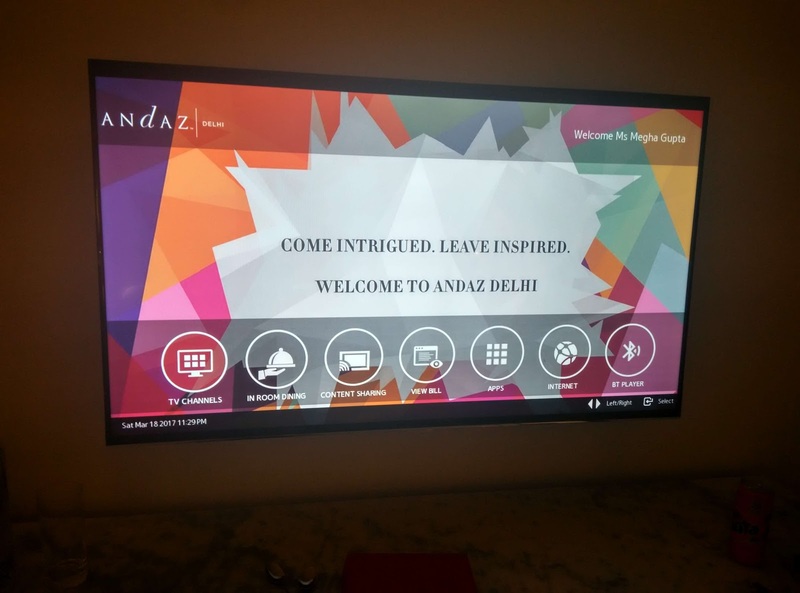 We drove till 1AQ gallery in Qutub Minar for styling, perfumery and networking session. I also painted (well actually I just embarrassed myself when an amoeba showed up instead of smiley) on the black wall with spray paint. Lot of bloggers flew in from all over India. The whole event was a lit due to vibrant graphics, sunshine, food, well dressed girls and boys. It was just amazing to be there. In the evening we all drove to Hyatt Andaz Aerocity for stay. I just had an hour to change for Tata Tigor presentation by Pratap, Vivek and Ashish from Tata Motors. 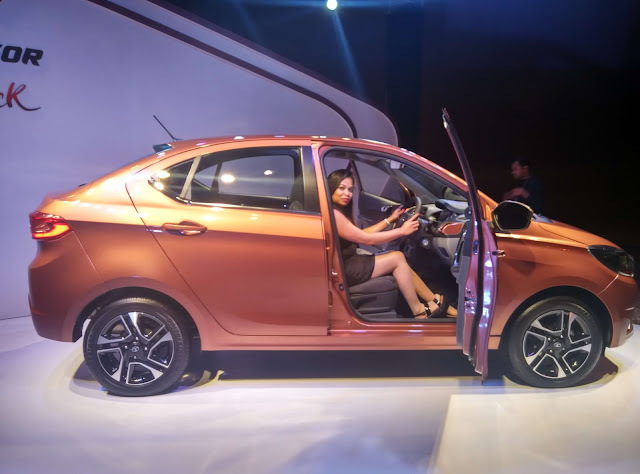 They explained us very well about the features of their new car Tata Tigor. I really liked the colour and interiors of the car. If I have to buy a car in future I will definitely consider this one. A cocktail party with lavish dinner was waiting for us afterwards. I retired to my room by 11:30 (although I didn’t want to) so as to be prepared for next day. I woke up next day early in the morning by 4am. I packed my bags, took shower and checked out. After treating myself with heavy and delicious breakfast I was all set for ride in new Tata Tigor. It was like a dream to see more than 20 brand new Tata Tigor lined up for our driving experience. A team of three that was selected last night in their individual car drove to transport museum in Manesar, Gurgaon. Mouth-watering vintage cars collection was waiting for us. After spending good two hours over there we drove back to the hotel for feedback session and lunch. I left the place with heavy heart only wishing that such invites should come frequently.